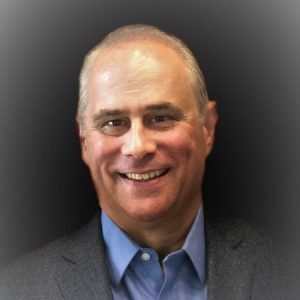 A test architect in the Dell EMC infrastructure solutions group, Geoff Meyer has more than thirty years of industry experience as a software developer, manager, program manager, and director. Geoff oversees the test strategy and architecture for more than four hundred software and hardware testers across India, Taiwan, and the United States. He leads initiatives in continuous testing, predictive analytics, and infrastructure as a service (IaaS). Outside of work, Geoff is a member of the Agile Austin community, contributor to the Agile and STAR conferences, and an active mentor to veterans participating in the Vets4Quality.org program, which provides an on-ramp to a career in software quality assurance. The hype surrounding Artificial Intelligence (AI) and it’s clarion call for automating away processes, tasks, and jobs have reached deafening levels. Even in our world of Engineering, consultants are beginning to inundate us with solutions that we may or may not need, but that sound really cool nonetheless. We find ourselves having to sort out fact from fiction and due to our own cognitive biases towards “the next big thing”, often underestimate the effort in assessing the viability and feasibility of these new practices. And while it’s up to us to establish our own relevant reality, a little help along the way never hurts. After coming across the World Quality Report 2016-17, the Dell EMC Server division embarked on their Test Analytics journey in late 2016. Geoff shares the “in-progress” journey at DellEMC as they increasingly enhance their testing practices with the application of data-driven smart assistants: powered by Analytics and Machine Learning. At a macro level, Geoff identifies opportunities across the Product Engineering and Test landscape for the application of Analytics and AI. He then breaks down the process of experimentation, staffing, and implementation that his team approached these new opportunities with. Geoff then drills-down into the smart assistants they’ve created for their testing processes: ‘Q” and “JARVIS”, which predict high-value test configurations and high-value regression test suites when the time is not on their side. Most importantly, Geoff provides insights on the activities you should ensure get the highest levels of attention and those that you might want to de-prioritize to later phases of your own Analytics and AI journey.